So there’s a fantastic group on deviantART where seasoned creatives help out newer artists through mentoring. 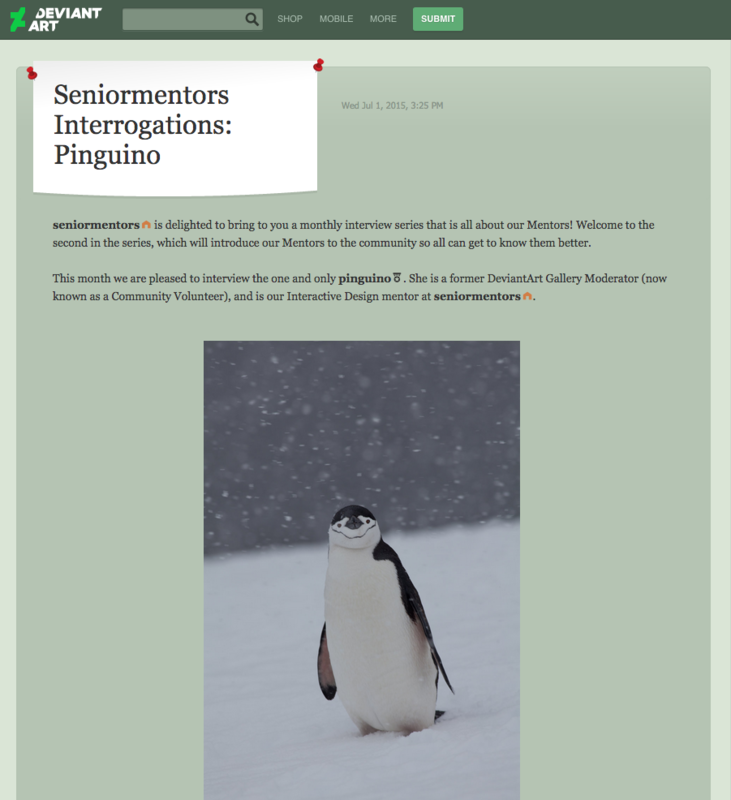 It’s called seniormentors and phoenixleo interviewed me recently! Check it out!